It saddened me greatly when I woke up this morning to find that one of my favorite actors had passed on at the untimely age of only 33 - life just is not fair!!! 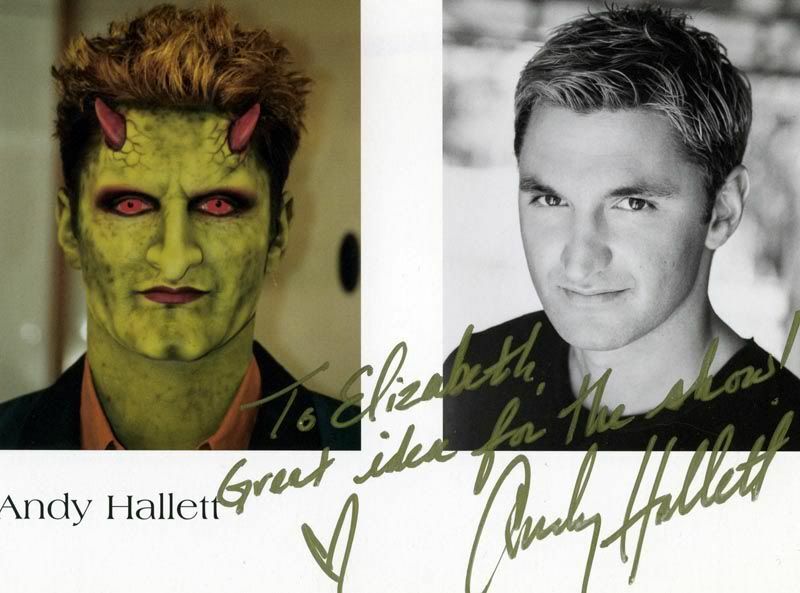 Andy Hallett played my favorite character on one of my all time fav TV shows, the Buffy spin-off "Angel". 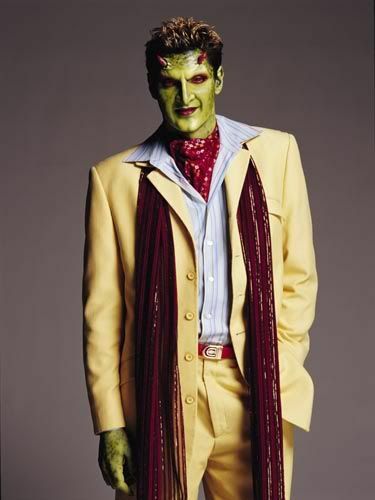 He played "The Host", Lorne a/k/a Krevlornswath of the Deathwok Clan from the demonic dimension of Pylea, an upbeat green skinned demon who ran the karaoke bar Caritas in Los Angeles and had the ability to read people when they sing. 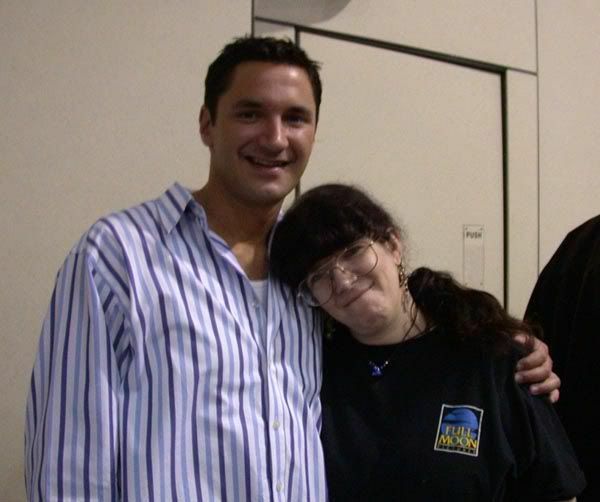 I'm really glad we got a chance to meet him a few years ago at the Creepcon convention up in Baltimore where they had several stars of the Buffyverse appear so at least we got a chance to tell him how much we loved his appearances on the show, he was super friendly and even sang for Paula. I am pretty devastated that we have lost him way too soon and never got a chance to see him do another role or reprise this one. I will treasure my signed photo & my Sideshow Lorne figure which even came with his own little Seabreeze, Lorne's favorite drink. I leave you with his wonderful performance of "Lady Marmalade"